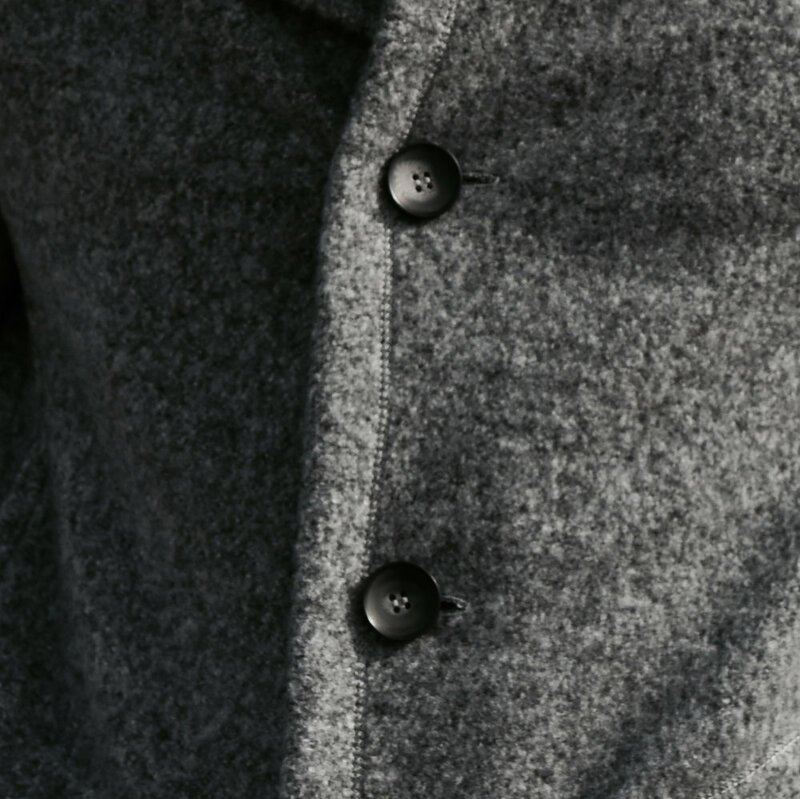 The A6 comes in the following fabric: Boucle' (Brushed Grey) A fabric constructed of woven wool that combines two or more shades of a color to create texture. Our A6 button down jackets are a slightly fitted style. In addition, the A6 features two front pockets for ease of access, as well as Italian Button accents. Every one of our hoodies come with an inflatable hood with a removable inflatable pillow.